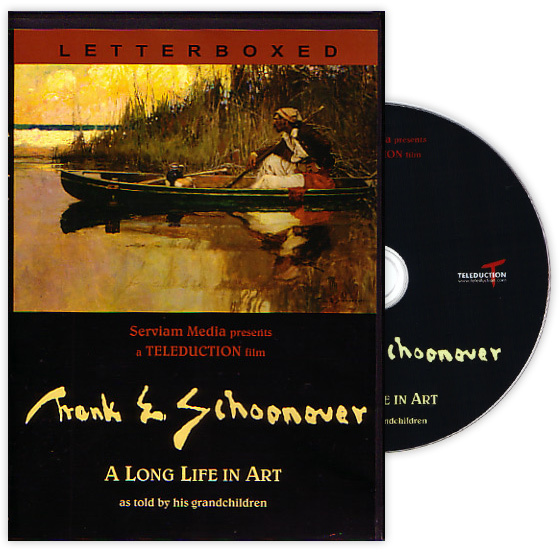 Explore the life of renowned artist and illustrator, Frank E. Schoonover, who made his reputation with his vivid images of pirates, Indians, adventure stories, literary and historical subjects that were published in more than 750 magazine articles and 150 books. Using their memories and the artist's own records, his three grandchildren tell the story of his amazing 70-year long career as they sit in his Wilmington studio amid his paintings and other artifacts Schoonover had acquired on his travels. This documentary also features archival photographs, film footage and audio recordings of Schoonover reminiscing about special moments in his life, especially his experiences with Howard Pyle. From the exhibition Frank E. Schoonover: American Visions on view November 10, 2018 through May 27, 2019 at Norman Rockwell Museum.